The International University Sports Federation (FISU) is entering a new era with a new President, Oleg Matytsin, at the helm. FISU is an international sports organisation with the rare capacity of straddling two fundamental roles: organising University-level sports events around the world and, at the same time, fostering the personal development of students in mind, body and lifestyle. The ultimate vision for the organisation is to create a world where every leader in society has been positively influenced by their experience with University sport. 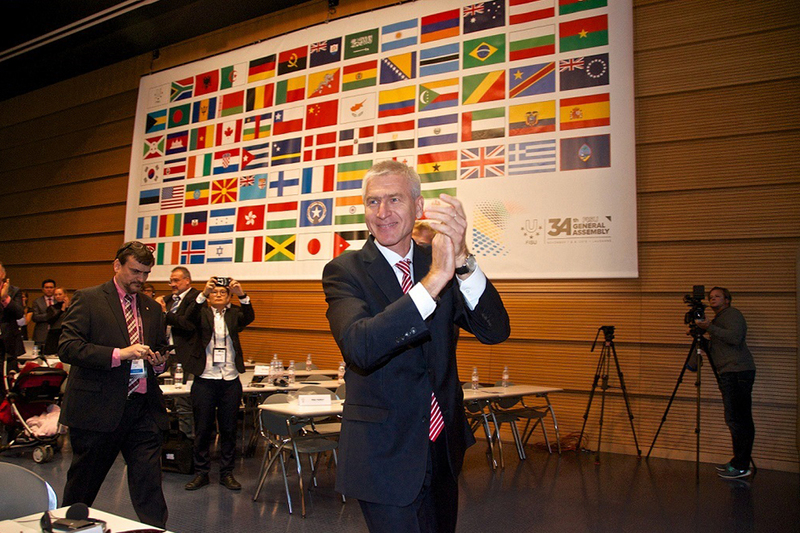 Having played a significant role in President Matytsin’s election campaign, JTA was subsequently appointed to help FISU hone its brand architecture (in particular its vision, mission, proposition, positioning and supporting messaging) to allow the federation to promote its activities with a more coherent narrative. This process began with a kick-off communications workshop and several follow-up meetings. 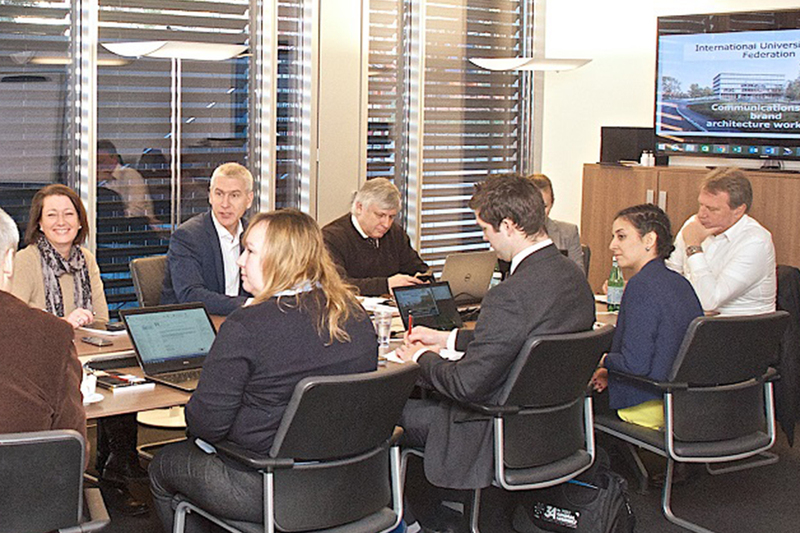 Together, JTA and senior figures within FISU – including President Matytsin – redefined FISU’s brand architecture and developed a communications strategy to support the dissemination of its key messaging throughout 2016 and into 2017, with a particular focus on promoting FISU’s key sports properties: the World University Championships and the Winter and Summer Universiades. The metrics for success of this project is what perception change is achieved among FISU’s key audiences: target sports industry sponsors, the top 50 host cities for sports events worldwide (and their relevant governmental authorities) and individual universities. 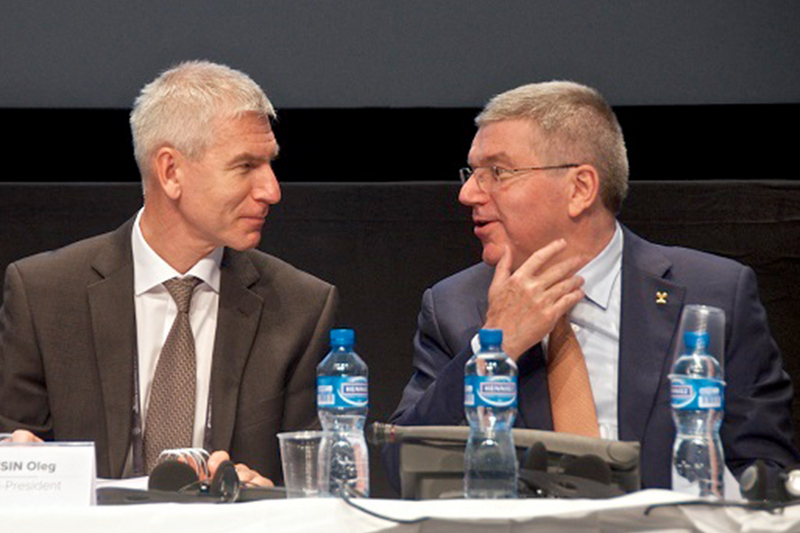 (L-R) FISU President Oleg Matytsin with IOC President Thomas Bach. 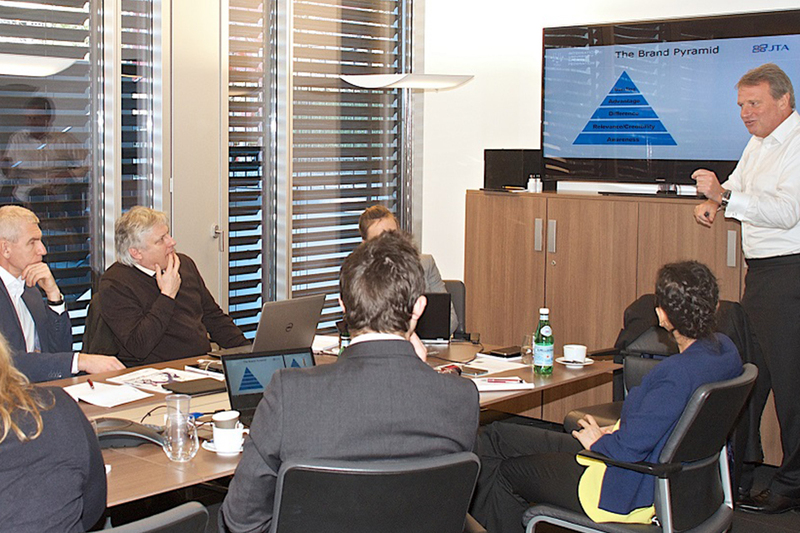 Jon Tibbs (far right) leading a brand architecture workshop with senior FISU officials and staff. 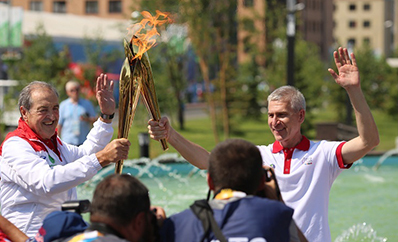 Oleg Matytsin (right) holding the Kazan 2013 Universiade flame with former FISU President Claude-Louis Gallien. 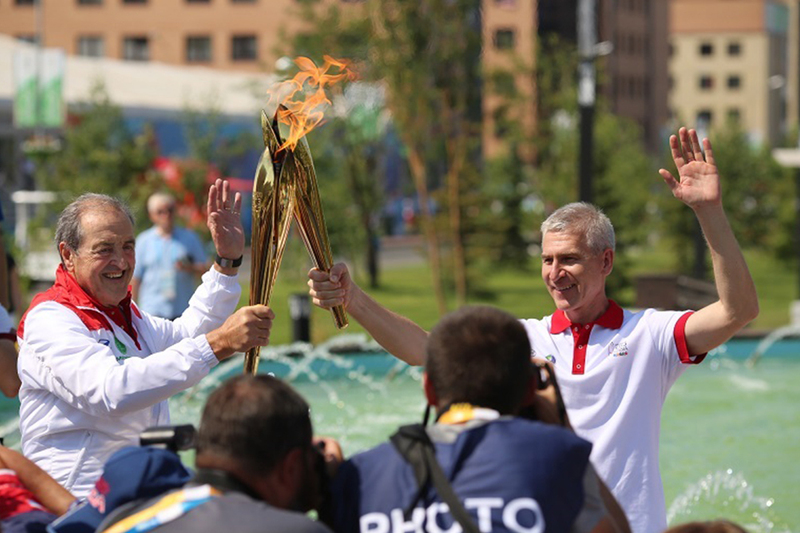 Oleg Matytsin celebrates being elected as FISU President in November 2015. Senior FISU officials and staff during the brand architecture workshop run by JTA.